Tanachion, Fred, 81 on June 11th 2018 after a short illness. He was born and raised in West Brighton and moved to the present address in Port Richmond Center in 1960. He graduated from McKee high school and went into the US navy serving as an electrician’s mate from 1953-1956 and later in the Navy Reserve for over 16 years. He became a Fireman for the NYFD in 1960 until 1980 and served as a Fire Marshal in Brooklyn and Staten Island. Upon his retirement from the NYFD he became a partner with his son, Fred in Tanachion Electric Co. He retired in 2017. Fred’s hobbies included hunting, fishing and enjoying his home in MT. Pocono PA. He was a member of the Beacon Light Lodge, #701 as well as several organizations on Staten Island. Fred was married to Mary [nee Walsh] Tanachion for over 59 years and survived by his daughter Elizabeth Vanmanen-Imparato and son Fred Tanachion. Also survived by six grandchildren and three great grandchildren. 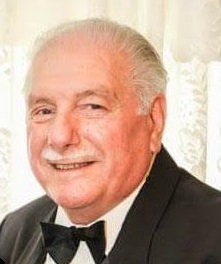 Funeral from Cherubini-McInerney Funeral Home, formally [Meislohn –Silvie] at 1289 Forest Ave on Friday at 9AM with a mass at Blessed Sacrament RC Church at 10AM. Private cremation to follow. Visiting hours are on Wednesday and Thursday from 2-4 and 7-9 PM. My sincere condolences. May your family find some comfort for your great loss in the promise expressed in God’s word at John 6:40. Aunt Mary and cousins, I am so sad about Uncle Freddie, you are in my prayers and thoughts in this difficult time. Love from California. Our prayers are with all of you.